Why I Drink Beer – Part 1 | The Hay Say HAS MOVED! Beer, you’ve gotta love it. Believed to be one of the oldest prepared beverages, beer trails only to water and tea as the world’s third most popular drink. It can be found all over the world, in the biggest cities and most remote of locations. It is everywhere, and enjoyed by so many. Here is the first in a series of short essays on why I drink beer. I don’t remember my first beer, but I remember first learning to enjoy it. 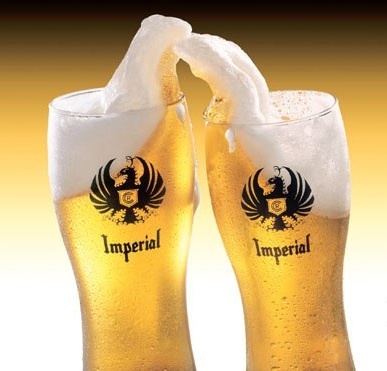 The first beer I would have called my beer of choice was Imperial, a Costa Rican Lager, similar to any typical Latin American lager. It is gold in color, light in taste, and has a foamy white head. I remember trying out different Costa Rican beers, and as a beer rookie, I wasn’t really able to tell the difference. There isn’t much special about Imperial, except the memories. As a teenager studying abroad in town with no other gringos, it was beer that brought me together with my new friends. It was beer that loosened up the tongue and brought out the Spanish. And it was beer and beach that brought out more laughter than anything else. Since then, beer for me has meant just that: bringing people together, making new friends, and sharing in laughter. Whether you are out at a bar with friends, sitting around the house with family, or in the back yard lighting up the grill, beer just seems to set the mood. Co-workers become friends, heartbreaks are mended, and anniversaries celebrated, all over beers. I’m not really sure why beer can be credited for so many great things…maybe it’s the alcohol, maybe it’s the taste, or maybe just the history. No matter what the reason, the mood is set, the people have fun, and we keep drinking the beer.